traffic control, security and industry. We are companies’ top choice when it comes to setting up display systems’ software, GPUs and GUIs inside control and supervision rooms. Here at Tower TBA we will provide our clients with a 3D personalised simulation of the project for an easier decision making process. Video Display Walls are ideal for companies looking to share information with a group of people using control and supervision apps. They work using systems that project data and video onto large display walls. 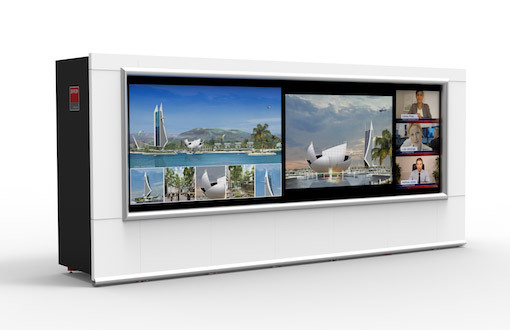 They can be made to fit all kinds of spaces and come in various formats (LED rear projection technology, LCD or LED high-resolution mosaic). For their management, video display walls inside control rooms will come with a controller and software equipped with an effective interface. 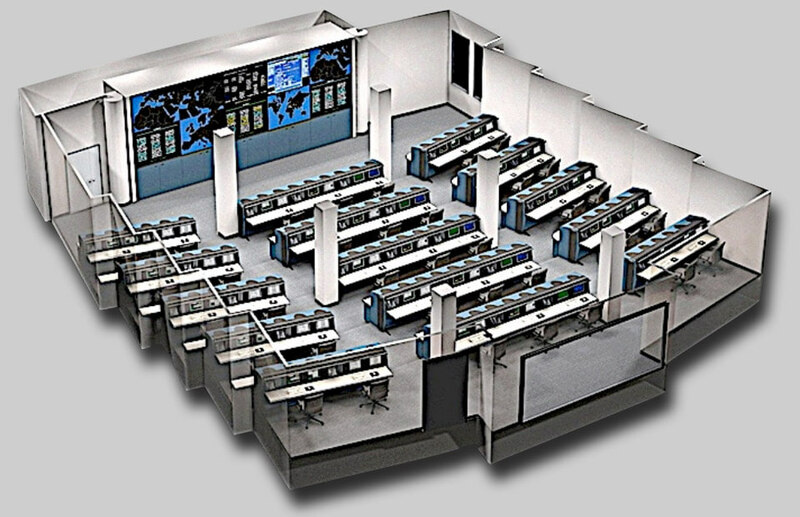 Evans Consoles is a world leader in terms of providing operation consoles for control rooms. Their consoles are unparallelled in the control room industry and are used by private companies and public organisations alike. Present in over 7500 installations around the world, Evans has provided top-notch AV solutions for critical work environments. 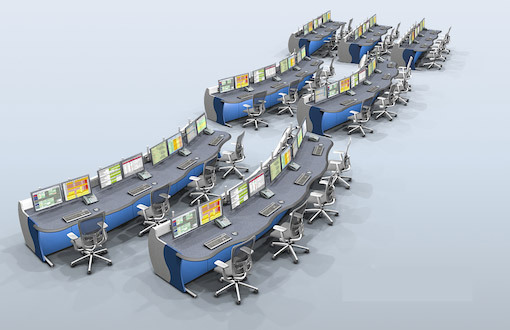 They offer 24/7 (tailored or pre-assembled) operation consoles with an ergonomic, user-friendly and flexible design.